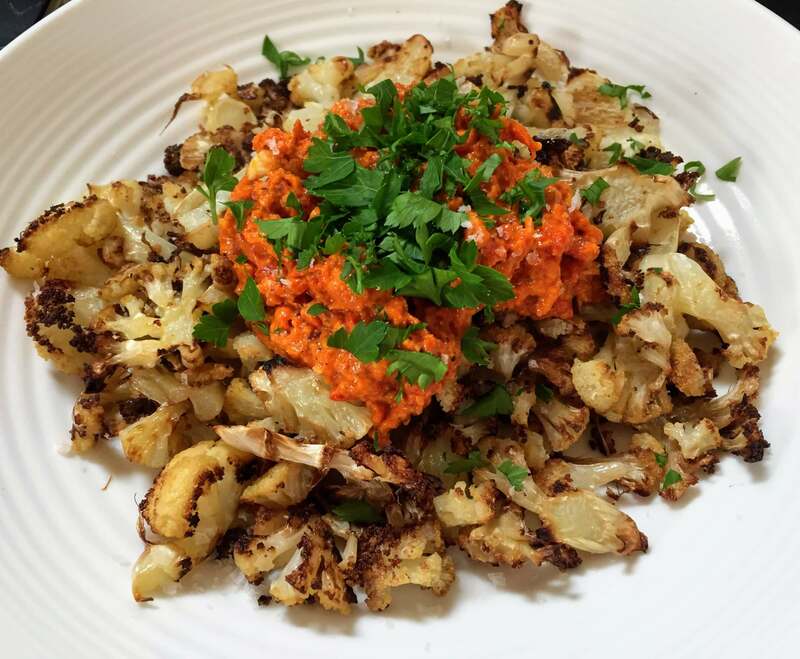 It’s peak cauliflower season at the moment. This makes me very happy. 🙂 It is high up on my list of favourite vegetables. One of the ways I love to eat cauliflower is to cut it into one cm thick slices and roast in a single layer on a tray with olive oil and salt. Often I add cumin as well, but this time I’d run out. 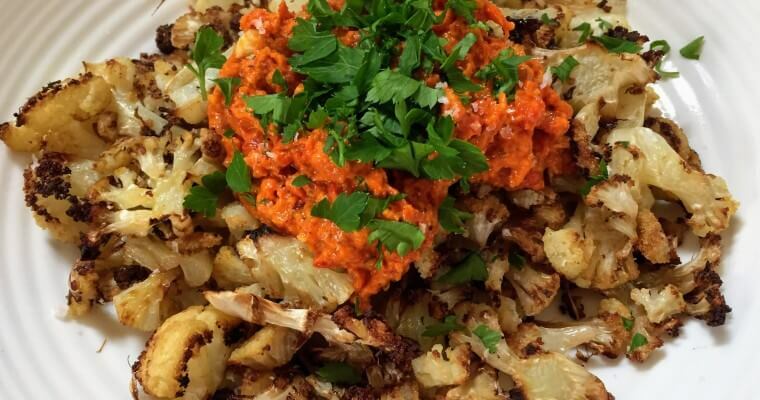 So instead I decided to make a romesco sauce to go with my roasted cauliflower. I had some peppers that needed using so they went into the oven as well. Peeled, seeded and puréed with some nuts, oil, vinegar and seasoning they make a delicious sauce that is great with cauliflower. The sauce is usually made with tomato, bread and almonds, I used hazelnuts and no bread as I had neither. I left the tomato out too. It is still delicious. Place all the ingredients into a food processor and purée. I like to leave mine a little chunky. Taste and season with additional salt, vinegar and chilli as needed.